For as long as there have been lotteries, there have been people trying to pull a fast one and claim prizes that they haven't won. There are countless stories about fake lottery winners out there, and we are going to bring you eight of the more interesting tales here. 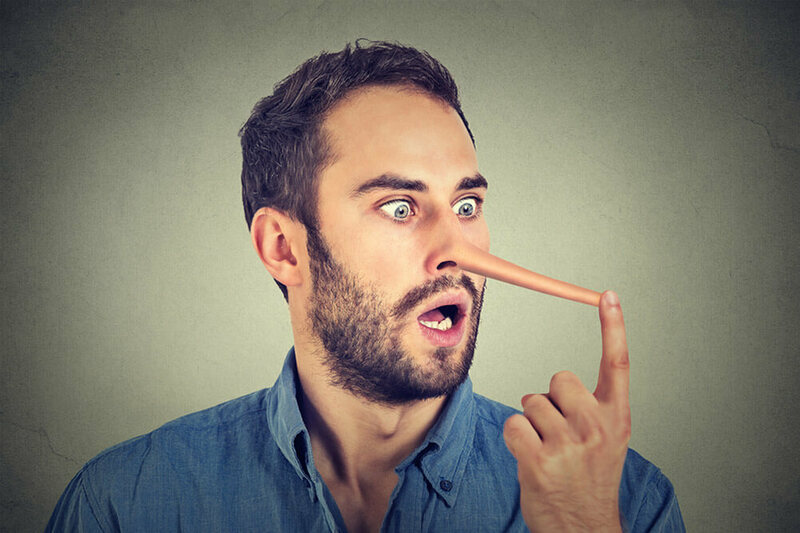 You won't believe the lengths that some of these cheating lottery liars have gone to in order to try and claim a lottery prize that wasn't theirs. We present for you eight stories of would-be lottery fraudsters and con-artists. Some of these stories may seem too far-fetched to be true, but they simply demonstrate the lengths people will go to when they become tempted by a lottery jackpot. This policy may work in the school playground, but not so much when it comes to lottery winners. Amanda and Michael Stacey were doing some grocery shopping in their local supermarket in Swindon when they spied a lottery ticket on the floor. The couple cashed in the ticket - which turned out to be worth a tidy £30,000 - at their local post office, and used half of the sum to clear off their debts. Unfortunately for the Staceys, the real owner of the ticket had kept a receipt of her purchase and realised that the ticket had gone missing when she saw that her usual numbers had come up. Mrs Dorothy McDonagh (61) contacted the lottery organisers and when she presented her ticket the game was up for the opportunistic couple. A court found that they had to repay the money plus interest, but believed the Staceys when they claimed that they did not realise they were doing anything wrong. As a result the couple received an 11-month sentence for fraud but were not required to spend any time behind bars. A newsagent in Oldham with the nickname of 'Lucky' tried to con a 77-year-old grandmother out of her million pound winnings, but his luck didn't hold when he tried to claim the prize. When pensioner Maureen Holt asked the shopkeeper Farrakh Nizzar to check whether her ticket had won, he told her that it was worthless. In fact, the lottery terminal had displayed a message stating that the owner should contact the lottery organisers. When Nizzar did this himself later on, suspicions were raised when he was unable to answer questions about when and where he had purchased the ticket. The lottery organisers carried out their own investigations and discovered that the ticket had been purchased using the Tesco club-card belonging to Mrs Holt's husband Fred. The couple were re-united with their £1 million winnings, while the luckless Nizzar was sentenced to 30 months in prison. A moment of madness cost Anne Jeevarajah (38) and her husband Alfred (45) both their freedom and their liveliehoods. Pensioner Gwyn Badham-Davies dropped into his local newsagent's in Norfolk and asked shopkeeper Anne to check whether his lottery ticket from the previous week had won. She discovered that it was a winning ticket, but informed Mr Badham-Davies that he had won just £10. In fact the ticket was worth over £156,000 and Anne's husband Alfred later phoned the UK lottery organisers to try to claim the winning jackpot. The lottery organisers became suspicious due to the delay in claiming the prize plus the fact that the claimants were shopkeepers. It was discovered that Mr Badham-Davies had purchased the winning ticket at a nearby supermarket, and the devious couple were sentenced to 14 months in prison in 2011 for what their lawyer described as "momentary succumbing to temptation". Susanne Hinte - a German-born UK resident - hit the headlines with her claim that she had the winning ticket for a £33 million lottery jackpot. The 48-year-old grandmother claimed that she had accidentally left the winning ticket in the washing machine, rendering much of it illegible. Crucially, a tear had appeared where the date should have been, although the winning numbers were visible. However, when the real lottery-winner came forward with a genuine ticket Ms Hinte's plan quickly came undone. Susanne claimed that her submission of the ticket was an 'innocent mistake' so perhaps she can be given the benefit of the doubt. It's always a good idea to draw up a strict set of rules before entering a lottery syndicate, as this can avoid the kind of fate which befell a group of Canadian lottery players. Frank Galella was the 'group captain' and was therefore in charge of buying tickets. When Frank's daughter suddenly made a claim for a $7 million jackpot suspicions were aroused. It later transpired that the winning ticket was one purchased on behalf of the syndicate, which Mr Galella had passed on to his daugter for her to make the claim. The 67-year-old Ontarian was sentenced to two years under house arrest for attempted fraud, although he did still get to collect his share of the winnings which amounted to around $640,000. Newsagents and store clerks have featured heavily in this list due to the unique opportunity for lottery theft that their position affords them. 26-year-old Imran Pervais was another who let temptation get the better of him. When Callum Crosier came in to check the results of his lottery syndicate, the Gravesend shopkeeper told him that he had won £10. In fact the correct amount should have been £80,000, but Callum noticed the mistake when checking the numbers at home and went back to claim the ticket he had left there. Mr Pervais was given a suspended sentence, but the lottery machine was removed from his store. In the United States an undercover team of lottery investigators goes from store to store to ensure that no fraudulent behaviour is taking place. They give a winning scratch-card to the clerk in each store, and wait to see if they are informed of the correct winning amount. 7-Eleven worker Robert Adsit was one who took the bait, telling investigators that their scratchcard had lost and then trying to claim $5,000 the next day. One of the most elaborate of all lottery scams was carried out by an Iowan security director named Eddit Tipton. Tipton was found guilty of having rigged the random number generators that determined the outcome of at least four lotteries across the United States. His job as a computer programmer in the Iowa offices of the Multi State Lottery Association allowed him to access the software which determined the outcome of draws. Tipton admitted to rigging lottery draws in Iowa, Colorado, Kansas, Oklahoma and Wisconsin along with his brother (and ex-judge) Tommy and a Texas businessman by the name of Robert Rhodes. Tipton over-reached himself when trying to anonymously claim a $16.5 million prize from the Iowa Hot Lotto, and eventually he was sentenced to 25 years in prison for his crimes. Let's finish our list of lottery fakers with a rather unusual story from the U.K. This is a case where a lie mushroomed into something beyond the control of the person who told it, with devastating consequences. Howard Walmsley's marriage was in trouble. He and his wife Kathy were having major financial troubles and the stress was starting to take its toll. For reasons best known to himself, Howard decided to tell his wife that he had won some money on the lottery: almost £9 million. Kathy believed his story, and she wasn't the only one. As the lie span out of control Howard borrowed money from other women and ran up credit at businesses where his cheques (unsurprisingly) kept bouncing. The same thing happened when he tried to pay for a Jaguar car and also when he wrote a dud cheque for £293,000 to buy a 17th century house. With all those cheques bouncing around, it didn't take long for the long arm of the law to catch up, and the (then) 43-year-old was sentenced to three years in jail in 2001. Fortunately, when you bet on the lottery with Lottoland you don't have to worry about anyone else trying to make off with your jackpot winnings! Records are kept of any purchases that you make using your Lottoland account to avoid any confusion. If you win any amount you will be notified by email and the money will automatically be transferred to your account. Lottoland is regulated by the Gibraltar Gambling Commission and also United Kingdom Gambling Commission and is licensed by the Irish National Excise Licence Office. This involves extremely strict scrutiny to ensure the safe processing of customer and payment data as part of our licensing conditions. 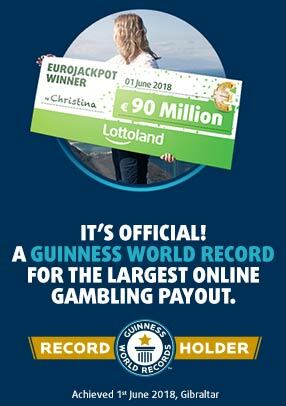 Lottoland is guaranteed to pay out any winnings, no matter how big they are. Smaller prize tier payments are paid using the fund Lottoland has accumulated from the total sales for the draw. The larger prize tier payments are covered by insurance policies which allow for the payment of any jackpot prize. As part of Lottoland's licensing agreement, they must prove their ability to pay out all of these prizes. As you can see, when you bet on lotteries with Lottoland you will be perfectly safe from any of those lottery fakers out there. All you need to do is to choose those numbers and hope for the best!